Referendum Results in Turkey: This is only the Beginning! According to the initial number of votes counted, Turkish referendum for constitutional change ended with the victory of the “Yes” camp (Around 51,3% of voters said “Yes” to changes). The results will be officially confirmed after all votes will be counted. This was one of the most crucial turning points in Turkish political history. There is a lot still to be done. If Turkey is to become a strong and powerful country, each and every individual in Turkey, both who voted “Yes” and “No” for this constitutional change have certain duties to be fulfilled. We have to make sure that democracy prevails under any circumstances. The result of the referendum in Turkey should be an important step taken towards democratization of the country. We must find ways of living peacefully together in a democratic environment. Governmental system should remain secular. In other words,we must make sure that the religion and politics are separate. The governmental system in Turkey should keep equal distance towards all beliefs. The most outstanding change in this constitutional change is regarding the balance of powers. In the existing Parliamentary system in Turkey, legislation and execution (government) were in the hands of the same people. Individuals forming the government were the same individuals who were at the same time making the law in Turkish parliament. After this referendum a more strict separation of powers (checks and balances system) is restored in Turkey. The second and the most outstanding change is the empowerment of the execution in Turkey. Execution is becoming much stronger: Powerful president, like that of United States of America. As the president will be taking executive decision with a team that he/she will select the executive power will not be divided between prime minister and the president. What will be the result of this? Determination, stability, predictability, and strong will in political system will boost economic growth. We can expect a more active and assertive foreign policy. The presidential system should not make the rule of one group over another possible. Democracy is a mechanism which is necessary for keeping the balance between all social groups. Constitutional change is not the final step. There is a lot to do more. The entire administrative and governmental system must be established under the rule of law. The system must be outlined in a way that it will not make rule of one group over another possible. While transforming from parliamentary into presidential system; we must keep in mind the fundamental principles of democracy. Indisputable principles of democracy are what matter after this constitutional change. Namely the balance of power; rule of law; freedom of speech; free press; government by the majority (coupled with individual and minority rights); free and fair elections; protection of basic human rights… etc. Turkey must use this constitutional change as the beginning for a new era. The most crucial parameter is the rule of law, which defines, establishes and protects the political and governmental system. The law should be codified in a way that establishes neutrality of the political system: Governments must be subject to the rule of law; all citizens must be ensured that they receive equal protection under the law and that their rights are protected by the legal system. Constitution and all other arrangements have always been defined by those who hold the power. This has been done in a way that consolidates the position of the ruling group and guarantees the permanent control of the ruling group over the political system. In such an undemocratic apparatus “the path to the power” becomes an impasse for those who are outside the system. If a group cannot find democratic and legitimate ways for reaching the power, they will have to look for alternative ways. Democratic system is necessary for everybody. Whoever gets the power in hand, acts just to save the day. Bloodshed and turmoil will never stop unless we keep the law and governmental system above all political and ideological considerations. 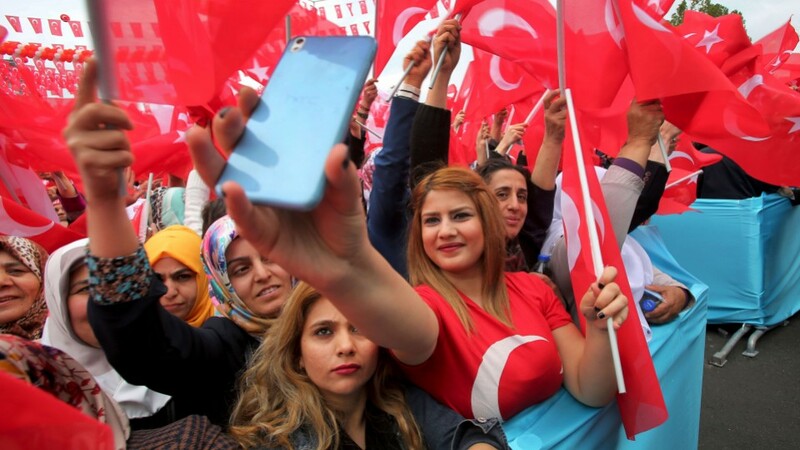 The democratization process in Turkey is hoped to be a role model for other nations. Because all nations must strive for democracy, rule of law, equality of all citizens before the law and most importantly respect for the dignity of all individuals.